On Sunday, October 4, the feast of the Leavetaking of the Exaltation of the Previous & Life-Giving Cross of the Lord, His Eminence, Metropolitan Jonah, celebrated the Divine Liturgy in St. John the Baptist Cathedral in Washington, DC. His Eminence was co-served by cathedral clergy. At the Liturgy, in honor of his longtime dedicated service to Christ’s Church and with the blessing of Metropolitan Hilarion, First Hierarch of the Russian Church Abroad, Metropolitan Jonah awarded cathedral rector Archpriest Victor Potapov the right to wear the second cross. The clergy and parishioners warmly congratulated their pastor. Fr. 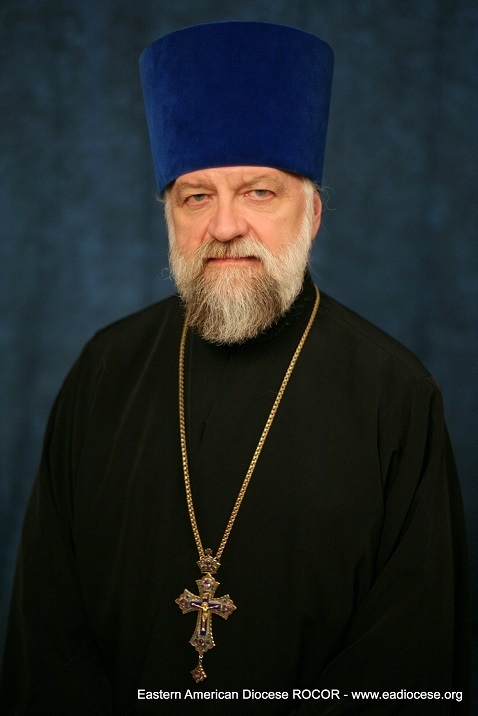 Victor has been serving in St. John the Baptist Cathedral for 45 years; in this time, the cathedral has seen more than one generation of parishioners come and go, and in recent years, the parish has seen its ranks filled anew with faithful recently arriving in America from Russia, including academics and artists. The parish is also home to many American converts to Orthodoxy. Thanks to Fr. Victor’s efforts, the church hosts Sunday schools, a sisterhood, an ever-expanding parish library, regular and frequent events, and pilgrimages. On Sunday, the parish sisterhood prepared and ran a Russian Bazaar, including a concert program, a fair, delicious food, and a wide variety of entertainment for children. Despite the rainy autumn weather, the atmosphere at the bazaar was warm and welcoming.